When I first saw, what I'm about to show you, I thought what a great way to cherish memories. Plus it took me back to my childhood and one of my favorite toys. Do you remember the Viewmaster? This is a place where you can take your personal memories and store them in this viewfinder, just like the ones we had as kids! One click down with that black handle you see and the photo flips to the next one. It maximizes the photo inside so you can see it in great detail. The best part is it is fully customized to how you want it and what photos to use. The interface is super easy to use too. 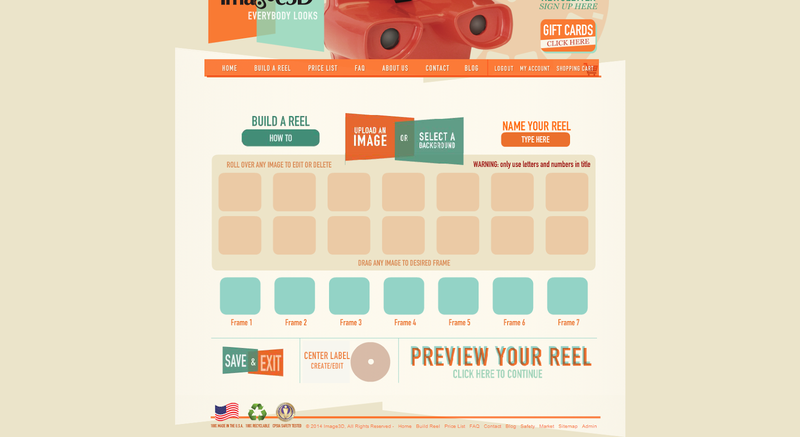 On the beginning page, you click Start Building Your Reel Now. It automatically gets you to create a login first, which is good... they do need to know where to send things. After you register, you will begin creating your reel. You add which photos you want by uploading them and can adjust where you want them to go. You can even create a custom label for the center. Everything is straightforward and easy to use. So you get the idea of how this works. And you see how those memories could be cherished for a really long time. As a mom, having photos of our children all through the years is so special. When they are grown you tend to look back on those moments. 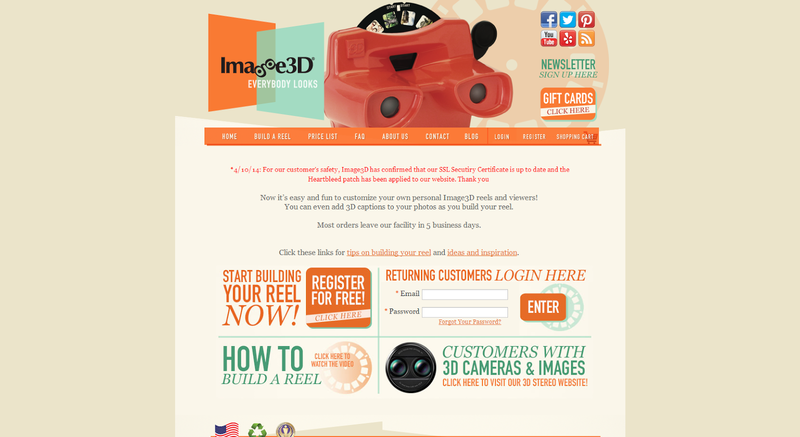 That brings me to the greatest thing I can tell you about the Image3D Custom Viewfinder. They have graciously offered one lucky person a viewfinder of their own. If you live in the US or Canada, see the details below. If you live in the US or Canada, you may enter. Read the full terms & conditions at the bottom of the form. I would get this for my boys. ah fun! i remember having one waaay back when. it was of disneyland. Probably for my niece of one of the younger cousins. I would love to win this to share with my kids! I'd love to win this for my boy.